I am sure you may know this, but I find it so handy that I wanted to share this tip with you all. As we are coffee-holics we like a decent cup of . We buy bags of coffee beans and grind them as we use it to make a fresh cup of coffee. We have experimented with different grinders over the years and now settled on a Coffee Burr Grinder. Still, when you grind the beans, the ground coffee tends to be very static and when you pull the container with the ground coffee out of the machine it tends to “fly” all over the countertop, and it’s such a mess. Hubby then started to investigate on the internet and found out that once you add a drop or three water on the beans, that this problem is solved. We have now tested it for a number of months, and it does work, no more static and coffee grind all over the countertops. Feel free to test it for yourself, I promise you it does work. I had absolutely no idea. But I am going to have to try it. Personaly I don’t drink coffee..Maybe 2 cups a year..I love a cup of good coffee I just don’t drink it…I am a cold drink girl my cocnut juice first thing and then H20…..Boring aren’t I ? Interesting. 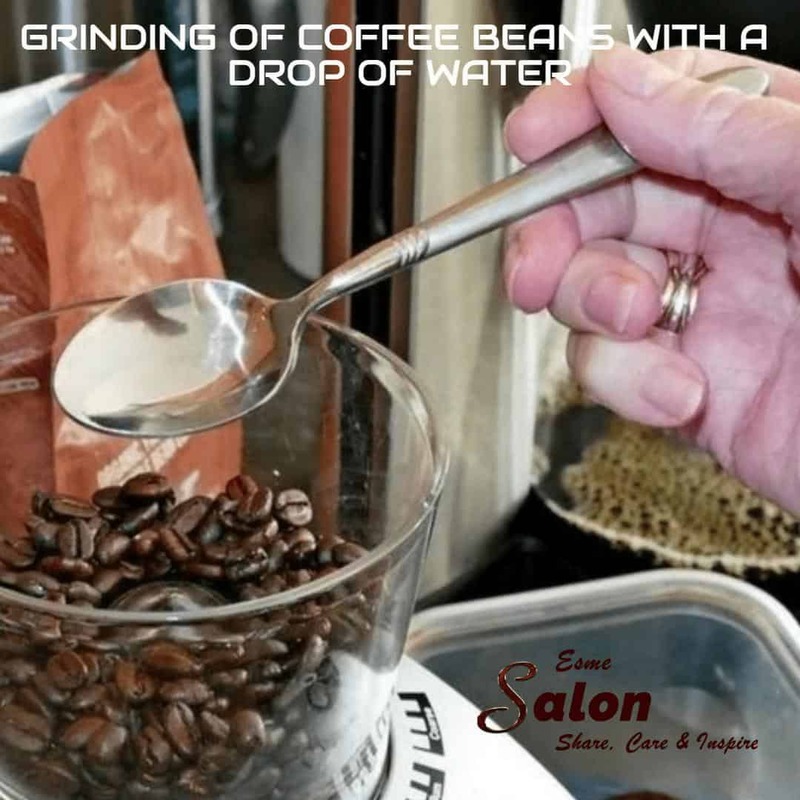 As I have worked in coffee houses, the only way I was trained, was to never allow water to come in contact with the grinding of the coffee. Also, to never allow water to come in contact with the grinders. To this day I have never washed my little coffee grinder, I merely use a paint brush to wipe it out.